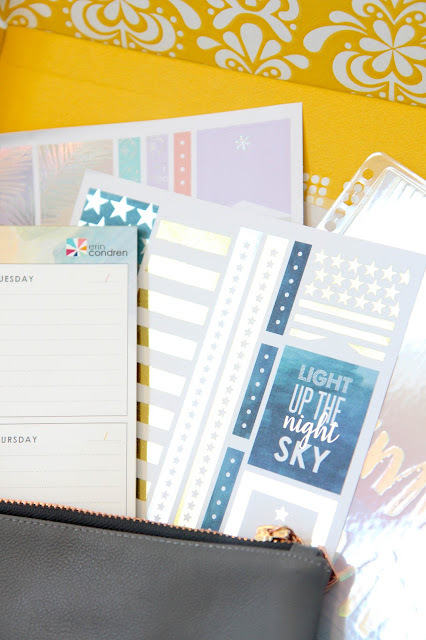 Erin Condren's third seasonal surprise box has to be my favorite. Due largely to the fact that everything inside the box isn't available on the website yet or is exclusive to the box. I can't help but get pumped over hard-to-get items. Plus they're all downright fabulous. So here are the deets. Boxes are released every couple of months for $35 with free shipping. At first they seemed incredibly limited in quantity, but there seemed to be more available this go around. It's currently sold out on the website, but you can sign up for notifications on the next one. The box contained nine different items. 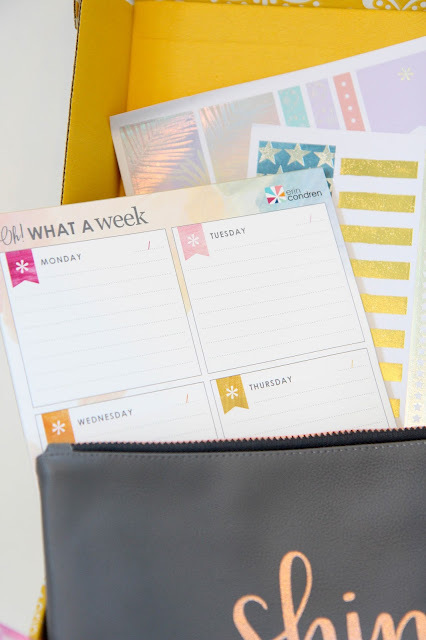 My favorites have to be the Oh, What a Week Notepad and the Shine On Clutch. Stationery is what sent me down the path of decorative planning all those years ago so whenever a new notepad enters my life I get super excited. It's on quality thick paper and has quite a few sheets. I've already started using it in excitement. I also feel like no woman can have too many little clutches. I have dozens no doubt but can't help the rush when another one joins my collection. This one definitely inspires me to clean out my collection so I just have high-quality ones left. I love the rose gold detailing and the logo as the zipper. So plush. So fancy. The box also had two sheets of stickers that will likely go into my growing collection and remain there, horded. They are gorgeous with foil detailing, but I can never convince myself to use them. The metallic cover is seriously gorgeous and I've already popped it onto my planner in a hurry. For the smaller items there's a new set of pencils, a small notepad, a turquoise elastic keep-it-together band, and a lip balm. Out of the group I'm most excited about the small notepad of course. The other items aren't terribly exciting, but round out the box nicely. Plus they'll make good giveaway items or gifts down the line. Overall the box is definitely worth way more than the $35 price tag. The clutch alone is $20, with the pencils being $6 and the sticker sheets at $3 a piece. Metallic covers are usually around $13. 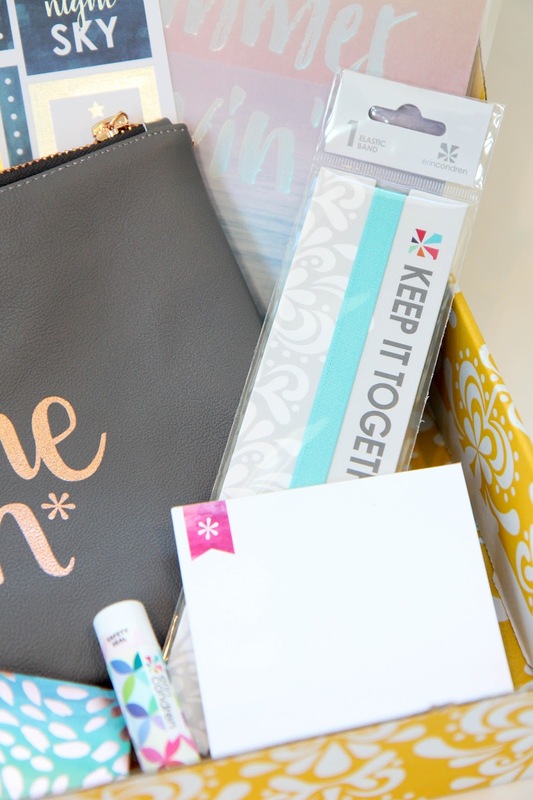 Plus there are still the two note pads, the lip balm, and the keep it together band not included in the price. 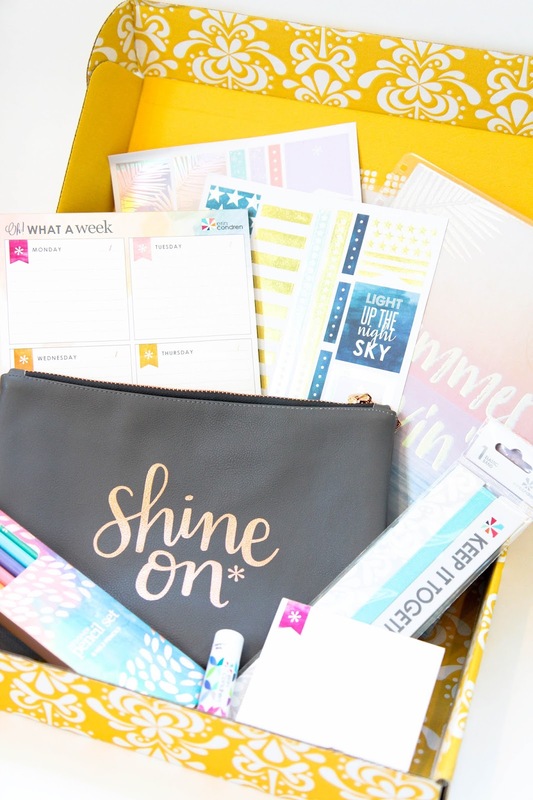 If you're a fan of Erin Condren or planning supplies in general, this is definitely a great box to try. It's getting better and better with each release and I for one can't wait to see what's in the fall box. There's also a metallic cover I've popped onto my planner already. 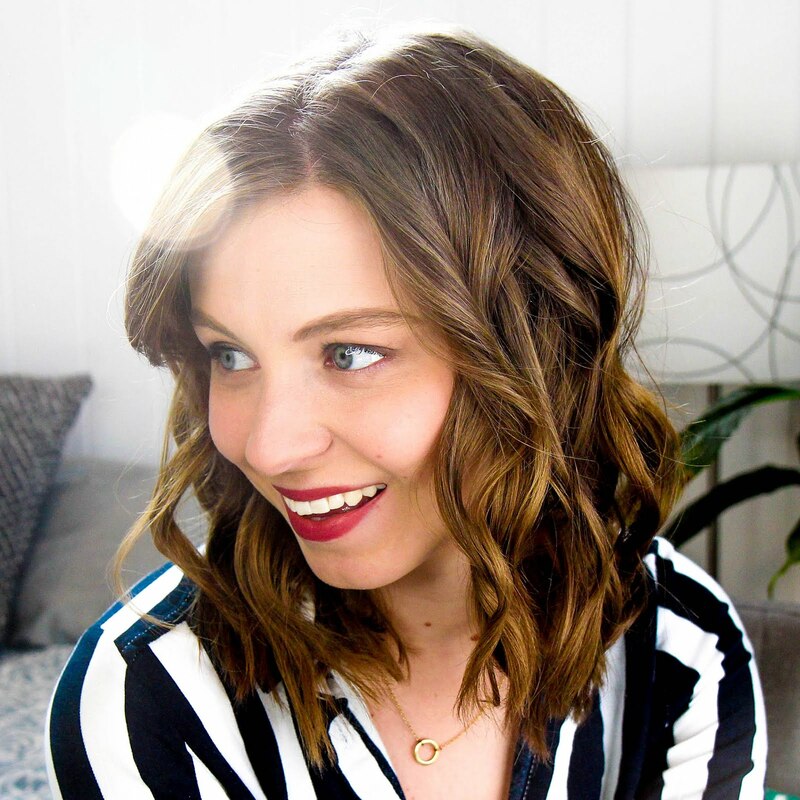 Check out today's video if you want my first impressions and a closer look at each product.